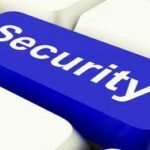 We recently came across an article, by Trend Micro security firm, offering tips to using good password security practices and advice to help maintain your online security. Yes, we have discussed the importance of password security in our past posts, but this subject is still relevant for maintaining security for online accounts. We would like to add some of our advice on top of what TrendMicro offers to reiterate the significance of password protection. Yes, they can be broken and we hear about data breaches more in the news today that involve sensitive data such as user names, passwords, emails, etc. being compromised. – Don’t use public Internet access (public Wifi) to log into private online accounts such as your banking, financial, private email or other personal sites that contain sensitive data. – It is recommended to use different passwords for each online account. Of course, this takes management time from the user, so a password manager program can be handy or simply keep them stored in your head with a system personal to you for remembering them. – Use password complexity when creating a new password. Make sure to use both upper and lower case letters, numbers, and symbols. You can come up with a phrase or term that is familiar to you but mix it up with numbers and special characters. – If an online service or account offers two-step authentication, use it! 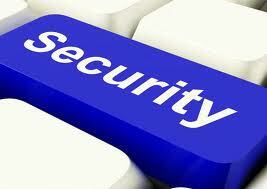 This added layer of protection is basically using two step procedure for securing and accessing your account. For example, assigning your mobile phone number to an iCloud or Google account so if the account is accessed by an unauthorized device (authorized devices can usually be configured in account settings) you will receive a text message or alert that can contain a security pin number. That number will be needed to access your account on the unknown device. Other examples of two-factor authentication are using a password and then something you have such as a security card or USB device. Even using biometrics as the second factor is becoming more common (that is another subject though in a future post). – Some online accounts will offer to use security questions to verify your credentials. Set them up if this is available and don’t use common answers such as your high school, mother’s maiden name, or other information that one can easily seek out. Make them more personal, tricky, or even use false information that you can remember easliy. – Always update your passwords even if it is changed slightly, one should update their passwords at least a couple times a year and definitely if there is any security breach at that particular account. Many of these tips have been discussed in the past, and are still recommended practices today. We have harped on password security a bit, so take this post as another friendly reminder. It is a simple management task not to be taken too lightly and can help keep your online accounts more secure.